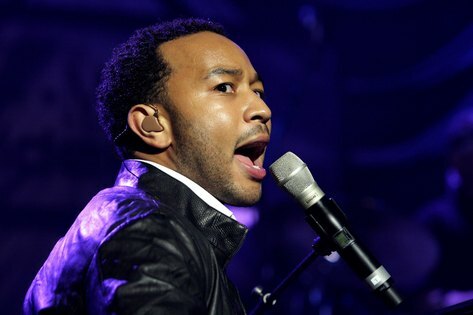 John Legend will speak at 8 p.m. on Monday, January 14 in Eisenhower Auditorium. His speech will be followed by a performance. This event is part of the Student Programming Association’s Distinguished Speaker Series. Tickets will be free to students with a valid Penn State student photo id beginning Tuesday, January 8. Based on availability, tickets for the general public may be available for free starting Friday, January 11. These tickets will be available at the Bryce Jordan Center Ticket Office, HUB Information Desk, Eisenhower Auditorium and Penn State Ticket Office Downtown. John Legend is a nine-time Grammy Award winning recording artist, critically-acclaimed concert performer and a philanthropist/social activist. Additionally, he was named one of TIME magazine’s “100 Most Influential People.” John Legend kicked off his career as a recording artist with his debut album “Get Lifted” in 2004. It went on to sell more than three million copies worldwide and earned eight Grammy nominations, of which, three (Best New Artist, Best male R&B Vocal Performance and Best R&B album) were won. His 2006 follow up album, titled “Once Again” gained RIAA platinum certification and another Grammy Award for Best Male R&B Vocal Performance. After these two hit albums, Legend released his third album, “Evolver,” in 2008, which was just as successful as the two that preceded it, if not more. When Legend is not making smash hits and record-breaking albums, he is showcasing his philanthropic side. In 2007, he launched the “Show Me Campaign,” which is a nonprofit organization fighting poverty around the world. In addition to fighting poverty, Legend also sits on the boards of The Education Equality Project, Teach for America and Co-Chairs the Harlem Village Academies’ National Leadership Board. Legend has been recognized for his activism on several occasions. Amongst his accolades includes the 2010 BET Humanitarian of the Year Award, the 2009 CARE Humanitarian Award for Global Change and the 2009 Africare’s Bishop John T. Walker Distinguished Humanitarian Service Award.